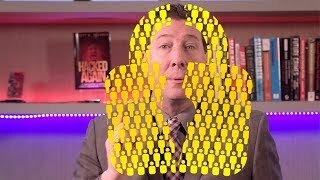 Scott Schober, Berkeley Varitronics Systems, Inc. CEO, Cyber Security Expert and author, appears regularly on Bloomberg TV, Fox Business & Fox News, CNBC, CNN, CTV News, CGTN, The Blaze, Arise TV, PIX11 as well as local and syndicated Radio including NPR and Sirius/XM & Bloomberg Radio. Through his webinar and event experience, he has assembled a list of common cyber security terms. If you have any you would like to add, feel free to contact info@bvsystems.com with suggested terms and their respective definitions. Click one of the letters above to automatically scroll down to terms beginning with that letter. Definition: The ability and means to communicate with or otherwise interact with a system, to use system resources to handle information, to gain knowledge of the information the system contains, or to control system components and functions. Definition: The process of granting or denying specific requests for or attempts to: 1) obtain and use information and related information processing services; and 2) enter specific physical facilities. Definition: Security measures designed to detect and deny unauthorized access and permit authorized access to an information system or a physical facility. Definition: An actual assault perpetrated by an intentional threat source that attempts to alter a system, its resources, its data, or its operations. Definition: Software that is able to automatically carry out or trigger actions without the explicit intervention of a user. Definition: An adversary that possesses sophisticated levels of expertise and significant resources which allow it to create opportunities to achieve its objectives by using multiple attack vectors (e.g., cyber, physical, and deception). Definition: An individual, group, organization, or government that conducts or has the intent to conduct detrimental activities. Definition: To physically separate or isolate a system from other systems or networks (verb). Definition: A notification that a specific attack has been detected or directed at an organization?s information systems. Definition: In the NICE Workforce Framework, cybersecurity work where a person: Analyzes threat information from multiple sources, disciplines, and agencies across the Intelligence Community. Synthesizes and places intelligence information in context; draws insights about the possible implications. Definition: A NICE Workforce Framework category consisting of specialty areas responsible for highly specialized review and evaluation of incoming cybersecurity information to determine its usefulness for intelligence. Definition: A program that specializes in detecting and blocking or removing forms of spyware. Definition: A program that monitors a computer or network to detect or identify major types of malicious code and to prevent or contain malware incidents. Sometimes by removing or neutralizing the malicious code. Definition: A person, structure, facility, information, and records, information technology systems and resources, material, process, relationships, or reputation that has value. Definition: An attempt to gain unauthorized access to system services, resources, or information, or an attempt to compromise system integrity. Extended Definition: The intentional act of attempting to bypass one or more security services or controls of an information system. Definition: The manner or technique and means an adversary may use in an assault on information or an information system. Definition: The steps that an adversary takes or may take to plan, prepare for, and execute an attack. Definition: Similar cyber events or behaviors that may indicate an attack has occurred or is occurring, resulting in a security violation or a potential security violation. Definition: A characteristic or distinctive pattern that can be searched for or that can be used in matching to previously identified attacks. Definition: The set of ways in which an adversary can enter a system and potentially cause damage. Extended Definition: An information system’s characteristics that permit an adversary to probe, attack, or maintain presence in the information system. Definition: An individual, group, organization, or government that executes an attack. Extended Definition: A party acting with malicious intent to compromise an information system. Definition: The process of verifying the identity or other attributes of an entity (user, process, or device). Definition: A property achieved through cryptographic methods of being genuine and being able to be verified and trusted, resulting in confidence in the validity of a transmission, information or a message, or sender of information or a message. Definition: A process of determining, by evaluating applicable access control information, whether a subject is allowed to have the specified types of access to a particular resource. Extended Definition: The process or act of granting access privileges or the access privileges as granted. Definition: The property of being accessible and usable upon demand. Definition: Observing activities of users, information systems, and processes and measuring the activities against organizational policies and rule, baselines of normal activity, thresholds, and trends. Definition: A type of digital currency in which encryption techniques are used to regulate the generation of units of currency and verify the transfer of funds, operating independently of a central bank. Many bitcoin transactions are associated with illegal, dark web activity but not all. Definition: A list of entities that are blocked or denied privileges or access. Definition: A method of penetration testing in which the hacker is given no prior information other than a target network or computer system to hack. Definition: A Hacker who uses their abilities for malicious or selfish purposes. Definition: A digital ledger in which transactions made in bitcoin or another cryptocurrency are recorded chronologically and publicly. Definition: A group that defends an enterprise’s information systems when mock attackers (i.e., the Red Team) attack, typically as part of an operational exercise conducted according to rules established and monitored by a neutral group (i.e., the White Team). Extended Definition: Also, a group that conducts operational vulnerability evaluations and recommends mitigation techniques to customers ho need an independent technical review of their cybersecurity posture. Definition: A computer connected to the Internet that has been surreptitiously / secretly compromised with malicious logic to perform activities under remote the command and control of a remote administrator. Extended Definition: A member of a larger collection of compromised computers known as a botnet. Definition: The controller of a botnet that, from a remote location, provides direction to the compromised computers in the botnet. Definition: A collection of computers compromised by malicious code and controlled across a network. Definition: An unexpected and relatively small defect, fault, flaw, or imperfection in an information system or device. Definition: A set of principles, practices, and tools to design, develop, and evolve information systems and software that enhance resistance to vulnerabilities, flaws, and attacks. Definition: The means to accomplish a mission, function, or objective. Definition: Common on social networking and online dating sites. Sometimes a catfish’s sole purpose is to engage in a fantasy but sometimes the catfish’s intent is to defraud a victim, seek revenge or commit identity theft. Definition: Data or information in its encrypted form. Definition: A model for enabling on-demand network access to a shared pool of configurable computing capabilities or resources (e.g., networks, servers, storage, applications, and services) that can be rapidly provisioned and released with minimal management effort or service provider interaction. Definition: A NICE Workforce Framework category consisting of specialty areas responsible for specialized denial and deception operations and collection of cybersecurity information that may be used to develop intelligence. Definition: In the NICE Workforce Framework, cybersecurity work where a person: Executes collection using appropriate strategies and within the priorities established through the collection management process. Definition: The actions taken to defend against unauthorized activity within computer networks. Definition: In the NICE Workforce Framework, cybersecurity work where a person: Uses defensive measures and information collected from a variety of sources to identify, analyze, and report events that occur or might occur within the network in order to protect information, information systems, and networks from threats. Definition: In the NICE Workforce Framework, cybersecurity work where a person: Tests, implements, deploys, maintains, reviews, and administers the infrastructure hardware and software that are required to effectively manage the computer network defense service provider network and resources; monitors network to actively remediate unauthorized activities. Definition: A property that information is not disclosed to users, processes, or devices unless they have been authorized to access the information. Definition: The effect of an event, incident, or occurrence. Extended Definition: In cybersecurity, the effect of a loss of confidentiality, integrity or availability of information or an information system on an organization’s operations, its assets, on individuals, other organizations, or on national interests. Definition: A document that sets forth procedures for the continued performance of core capabilities and critical operations during any disruption or potential disruption. Definition: The systems and assets, whether physical or virtual, so vital to society that the incapacity or destruction of such may have a debilitating impact on the security, economy, public health or safety, environment, or any combination of these matters. Definition: The operations performed in defeating or circumventing cryptographic protection of information by applying mathematical techniques and without an initial knowledge of the key employed in providing the protection. Extended Definition: The study of mathematical techniques for attempting to defeat or circumvent cryptographic techniques and/or information systems security. Definition: A digital asset designed to work as a medium of exchange that uses cryptography to secure its transactions, to control the creation of additional units, and to verify the transfer of assets. Extended Definition: Cryptocurrency examples include Bitcoin, Dogecoin, Etherium, Litecoin and many more. Definition: A well-defined computational procedure that takes variable inputs, including a cryptographic key, and produces an output. Definition: The use of mathematical techniques to provide security services, such as confidentiality, data integrity, entity authentication, and data origin authentication. Extended Definition: The art or science concerning the principles, means, and methods for converting plaintext into ciphertext and for restoring encrypted ciphertext to plaintext. Definition: The mathematical science that deals with cryptanalysis and cryptography. Definition: In the NICE Workforce Framework, cybersecurity work where a person: Addresses problems, installs, configures, troubleshoots, and provides maintenance and training in response to customer requirements or inquiries (e.g., tiered-level customer support). Definition: The interconnected information infrastructure of interactions among persons, processes, data, and information and communications technologies, along with the environment and conditions that influence those interactions. Definition: A planned event during which an organization simulates a cyber disruption to develop or test capabilities such as preventing, detecting, mitigating, responding to or recovering from the disruption. Definition: An electronic information and communications systems and services and the information contained therein. Extended Definition: The information and communications systems and services composed of all hardware and software that process, store, and communicate information, or any combination of all of these elements: ? Processing includes the creation, access, modification, and destruction of information. Storage includes paper, magnetic, electronic, and all other media types. ? Communications include sharing and distribution of information. Definition: In the NICE Workforce Framework, cybersecurity work where a person: Performs activities to gather evidence on criminal or foreign intelligence entities in order to mitigate possible or real-time threats, protect against espionage or insider threats, foreign sabotage, international terrorist activities, or to support other intelligence activities. Definition: The activity or process, ability or capability, or state whereby information and communications systems and the information contained therein are protected from and/or defended against damage, unauthorized use or modification, or exploitation. Extended Definition: Strategy, policy, and standards regarding the security of and operations in cyberspace, and encompass[ing] the full range of threat reduction, vulnerability reduction, deterrence, international engagement, incident response, resiliency, and recovery policies and activities, including computer network operations, information assurance, law enforcement, diplomacy, military, and intelligence missions as they relate to the security and stability of the global information and communications infrastructure. Definition: The interdependent network of information technology infrastructures, that includes the Internet, telecommunications networks, computer systems, and embedded processors and controllers. Definition: The portion of World Wide Web content that is not indexed by standard search engine generally attributed to hacking and illegal cyber activities. Definition: In the NICE Workforce Framework, cybersecurity work where a person: Develops and administers databases and/or data management systems that allow for the storage, query, and utilization of data. Definition: The process of gathering and combining data from different sources, so that the combined data reveals new information. Extended Definition: The new information is more sensitive than the individual data elements themselves and the person who aggregates the data was not granted access to the totality of the information. Definition: The unauthorized movement or disclosure of sensitive information to a party, usually outside the organization, that is not authorized to have or see the information. Definition: The property that data is complete, intact, and trusted and has not been modified or destroyed in an unauthorized or accidental manner. Definition: The result of unintentionally or accidentally deleting data, forgetting where it is stored, or exposure to an unauthorized party. Definition: A set of procedures and mechanisms to stop sensitive data from leaving a security boundary. Definition: The process or techniques used to analyze large sets of existing information to discover previously unrevealed patterns or correlations. Definition: The deliberate or intentional act of stealing of information. Definition: An attack that prevents or impairs the authorized use of information system resources or services. Definition: To convert enciphered text to plain text by means of a cryptographic system. Definition: To convert encoded text to plain text by means of a code. Definition: A generic term encompassing decode and decipher. Definition: The process of transforming ciphertext into its original plaintext. Definition: The processes and specialized techniques for gathering, retaining, and analyzing system-related data (digital evidence) for investigative purposes. Extended Definition: In the NICE Workforce Framework, cybersecurity work where a person: Collects, processes, preserves, analyzes, and presents computer-related evidence in support of network vulnerability, mitigation, and/or criminal, fraud, counterintelligence or law enforcement investigations. Definition: A form of access control technology to protect and manage use of digital content or devices in accordance with the content or device provider’s intentions. Definition: A value computed with a cryptographic process using a private key and then appended to a data object, thereby digitally signing the data. Definition: An event which causes unplanned interruption in operations or functions for an unacceptable length of time. Definition: A denial of service technique that uses numerous systems to perform the attack simultaneously. Definition: The automated, on-the-fly changes of an information system’s characteristics to thwart actions of an adversary. Definition: In the NICE Workforce Framework, cybersecurity work where a person: Conducts training of personnel within pertinent subject domain; develop, plan, coordinate, deliver, and/or evaluate training courses, methods, and techniques as appropriate. Definition: Any mark in electronic form associated with an electronic document, applied with the intent to sign the document. Definition: To convert plaintext to ciphertext by means of a cryptographic system. Definition: To convert plaintext to ciphertext by means of a code. Definition: The generic term encompassing encipher and encode. Definition: The process of transforming plaintext into ciphertext. Extended Definition: Converting data into a form that cannot be easily understood by unauthorized people. Definition: A comprehensive approach to risk management that engages people, processes, and systems across an organization to improve the quality of decision making for managing risks that may hinder an organization?s ability to achieve its objectives. Extended Definition: Involves identifying mission dependencies on enterprise capabilities, identifying and prioritizing risks due to defined threats, implementing countermeasures to provide both a static risk posture and an effective dynamic response to active threats; and assessing enterprise performance against threats and adjusts countermeasures as necessary. Definition: An observable occurrence in an information system or network. Extended Definition: Sometimes provides an indication that an incident is occurring or at least raise the suspicion that an incident may be occurring. Definition: The unauthorized transfer of information from an information system. Definition: A technique to breach the security of a network or information system in violation of security policy. Definition: In the NICE Workforce Framework, cybersecurity work where a person: Analyzes collected information to identify vulnerabilities and potential for exploitation. Definition: The condition of being unprotected, thereby allowing access to information or access to capabilities that an attacker can use to enter a system or network. Definition: The inability of a system or component to perform its required functions within specified performance requirements. Definition: A capability to limit network traffic between networks and/or information systems. Extended Definition: A hardware/software device or a software program that limits network traffic according to a set of rules of what access is and is not allowed or authorized. Definition: The General Data Protection Regulation (GDPR) is a European regulation for data protection and privacy for all individuals within the European Union but it addresses the export of personal data outside the EU as well. The GDPR aims primarily to give control back to citizens and residents over their personal data while simplifying the regulatory environment. Definition: A method of penetration testing in which the hacker is given some information about the internal details of the target network in order to provide a quick summary of some specific strengths and weaknesses in that netowrk’s security. Definition: An unauthorized attempt to gain access to an information system. Definition: An unauthorized user who attempts to or gains access to an information system. Definition: A computer hacker whose activity is aimed at promoting a social or political cause. Definition: A numeric value resulting from applying a mathematical algorithm against a set of data such as a file. Definition: A process of applying a mathematical algorithm against a set of data to produce a numeric value (a ‘hash value’) that represents the data. Extended Definition: Mapping a bit string of arbitrary length to a fixed length bit string to produce the hash value. Definition: A natural or man-made source or cause of harm or difficulty. Definition: A man-made threat achieved through exploitation of the information and communications technology (ICT) system?s supply chain, including acquisition processes. Definition: The methods and processes used to manage subjects and their authentication and authorizations to access specific objects. Definition: An occurrence that actually or potentially results in adverse consequences to (adverse effects on) (poses a threat to) an information system or the information that the system processes, stores, or transmits and that may require a response action to mitigate the consequences. Extended Definition: An occurrence that constitutes a violation or imminent threat of violation of security policies, security procedures, or acceptable use policies. Definition: The management and coordination of activities associated with an actual or potential occurrence of an event that may result in adverse consequences to information or information systems. Definition: The activities that address the short-term, direct effects of an incident and may also support short-term recovery. Extended Definition: In the Workforce framework, cybersecurity work where a person: Responds to crisis or urgent situations within the pertinent domain to mitigate immediate and potential threats; uses mitigation, preparedness, and response and recovery approaches, as needed, to maximize survival of life, preservation of property, and information security. Investigates and analyzes all relevant response activities. Definition: A set of predetermined and documented procedures to detect and respond to a cyber incident. Definition: An occurrence or sign that an incident may have occurred or may be in progress. Definition: An information system used to control industrial processes such as manufacturing, product handling, production, and distribution or to control infrastructure assets. Definition: Any information technology, equipment, or interconnected system or subsystem of equipment that processes, transmits, receives, or interchanges data or information. Definition: The measures that protect and defend information and information systems by ensuring their availability, integrity, and confidentiality. Definition: In the NICE Workforce Framework, cybersecurity work where a person: Oversees, evaluates, and supports the documentation, validation, and accreditation processes necessary to assure that new IT systems meet the organization’s information assurance and security requirements; ensures appropriate treatment of risk, compliance, and assurance from internal and external perspectives. Definition: An aggregate of directives, regulations, rules, and practices that prescribe how an organization manages, protects, and distributes information. Definition: An exchange of data, information, and/or knowledge to manage risks or respond to incidents. Definition: The ability of an information system to: (1) continue to operate under adverse conditions or stress, even if in a degraded or debilitated state, while maintaining essential operational capabilities; and (2) recover effectively in a timely manner. Definition: In the NICE Workforce Framework, cybersecurity work where a person: Oversees the information assurance program of an information system in or outside the network environment; may include procurement duties (e.g., Information Systems Security Officer). Definition: Any equipment or interconnected system or subsystem of equipment that processes, transmits, receives, or interchanges data or information. Definition: A person or group of persons within an organization who pose a potential risk through violating security policies. Extended Definition: One or more individuals with the access and/or inside knowledge of a company, organization, or enterprise that would allow them to exploit the vulnerabilities of that entity’s security, systems, services, products, or facilities with the intent to cause harm. Definition: The structured approach that enables an enterprise or organization to share risk information and risk analysis and to synchronize independent yet complementary risk management strategies to unify efforts across the enterprise. Definition: The property whereby information, an information system, or a component of a system has not been modified or destroyed in an unauthorized manner. Definition: A state of mind or desire to achieve an objective. Definition: The ability of two or more systems or components to exchange information and to use the information that has been exchanged. Definition: An unauthorized act of bypassing the security mechanisms of a network or information system. Definition: The process and methods for analyzing information from networks and information systems to determine if a security breach or security violation has occurred. Definition: A systematic and formal inquiry into a qualified threat or incident using digital forensics and perhaps other traditional criminal inquiry techniques to determine the events that transpired and to collect evidence. Extended Definition: In the NICE Workforce Framework, cybersecurity work where a person: Applies tactics, techniques, and procedures for a full range of investigative tools and processes to include but not limited to interview and interrogation techniques, surveillance, counter surveillance, and surveillance detection, and appropriately balances the benefits of prosecution versus intelligence gathering. Definition: The numerical value used to control cryptographic operations, such as decryption, encryption, signature generation, or signature verification. Definition: A public key and its corresponding private key. Extended Definition: Two mathematically related keys having the property that one key can be used to encrypt a message that can only be decrypted using the other key. Definition: A publicly or privately controlled asset necessary to sustain continuity of government and/or economic operations, or an asset that is of great historical significance. Definition: Software or hardware that tracks keystrokes and keyboard events, usually surreptitiously / secretly, to monitor actions by the user of an information system. Definition: In the NICE Workforce Framework, cybersecurity work where a person: Manages and administers processes and tools that enable the organization to identify, document, and access intellectual capital and information content. Definition: In the NICE Workforce Framework, cybersecurity work where a person: Provides legally sound advice and recommendations to leadership and staff on a variety of relevant topics within the pertinent subject domain; advocates legal and policy changes and makes a case on behalf of client via a wide range of written and oral work products, including legal briefs and proceedings. Definition: A field concerned with designing and developing artificial intelligence algorithms for automated knowledge discovery and innovation by information systems. Definition: A type of malicious code that attaches itself to documents and uses the macro programming capabilities of the document?s application to execute, replicate, and spread or propagate itself. Definition: A small application program that is automatically downloaded and executed and that performs an unauthorized function on an information system. Definition: Program code intended to perform an unauthorized function or process that will have adverse impact on the confidentiality, integrity, or availability of an information system. Extended Definition: Includes software, firmware, and scripts. Definition: Hardware, firmware, or software that is intentionally included or inserted in a system to perform an unauthorized function or process that will have adverse impact on the confidentiality, integrity, or availability of an information system. Definition: Software that compromises the operation of a system by performing an unauthorized function or process. Definition: Using false digital credentials or certificates to fool a device or user into thinking it is communicating directly with the original site they intended to connect with by rerouting internet traffic through another server. Definition: The application of one or more measures to reduce the likelihood of an unwanted occurrence and/or lessen its consequences. Extended Definition: Implementing appropriate risk-reduction controls based on risk management priorities and analysis of alternatives. Definition: The presentation of a dynamic attack surface, increasing an adversary’s work factor necessary to probe, attack, or maintain presence in a cyber target. Definition: The ability of a network to: (1) provide continuous operation (i.e., highly resistant to disruption and able to operate in a degraded mode if damaged); (2) recover effectively if failure does occur; and (3) scale to meet rapid or unpredictable demands. Definition: In the NICE Workforce Framework, cybersecurity work where a person: Installs, configures, tests, operates, maintains, and manages networks and their firewalls, including hardware (e.g., hubs, bridges, switches, multiplexers, routers, cables, proxy servers, and protective distributor systems) and software that permit the sharing and transmission of all spectrum transmissions of information to support the security of information and information systems. Definition: Near-field (or nearfield) communication (NFC) is a form of short-range wireless communication where the antenna used is much smaller than the wavelength of the carrier signal. Although the communication range of NFC is limited to a few centimeters, NFC alone does not ensure secure communications, they are susceptible to relay attacks. Definition: A property achieved through cryptographic methods to protect against an individual or entity falsely denying having performed a particular action related to data. Extended Definition: Provides the capability to determine whether a given individual took a particular action such as creating information, sending a message, approving information, and receiving a message. Definition: A passive information system-related entity containing or receiving information. Definition: A NICE Workforce Framework category consisting of specialty areas responsible for providing the support, administration, and maintenance necessary to ensure effective and efficient IT system performance and security. Definition: An action-based exercise where personnel rehearse reactions to an incident scenario, drawing on their understanding of plans and procedures, roles, and responsibilities. Extended Definition: Also referred to as operations-based exercise. Definition: The hardware and software systems used to operate industrial control devices. Definition: A person or group of persons external to an organization who are not authorized to access its assets and pose a potential risk to the organization and its assets. Definition: A NICE Workforce Framework category consisting of specialty areas providing leadership, management, direction, and/or development and advocacy so that all individuals and the organization may effectively conduct cybersecurity work. Definition: An actual assault perpetrated by an intentional threat source that attempts to learn or make use of information from a system, but does not attempt to alter the system, its resources, its data, or its operations. Definition: A string of characters (letters, numbers, and other symbols) used to authenticate an identity or to verify access authorization. Definition: A colloquial term for penetration test or penetration testing. Definition: An evaluation methodology whereby assessors search for vulnerabilities and attempt to circumvent the security features of a network and/or information system. Definition: The information that permits the identity of an individual to be directly or indirectly inferred. Definition: A digital form of social engineering to deceive individuals into providing sensitive information. Definition: An observable occurrence or sign that an attacker may be preparing to cause an incident. Definition: The activities to build, sustain, and improve readiness capabilities to prevent, protect against, respond to, and recover from natural or manmade incidents. Definition: The assurance that the confidentiality of, and access to, certain information about an entity is protected. Extended Definition: The ability of individuals to understand and exercise control over how information about themselves may be used by others. Definition: A cryptographic key that must be kept confidential and is used to enable the operation of an asymmetric (public key) cryptographic algorithm. Extended Definition: The secret part of an asymmetric key pair that is uniquely associated with an entity. Definition: A NICE Workforce Framework category consisting of specialty areas responsible for the identification, analysis, and mitigation of threats to internal IT systems or networks. Definition: A cryptographic key that may be widely published and is used to enable the operation of an asymmetric (public key) cryptographic algorithm. Extended Definition: The public part of an asymmetric key pair that is uniquely associated with an entity and that may be made public. Definition: A branch of cryptography in which a cryptographic system or algorithms use two uniquely linked keys: a public key and a private key (a key pair). Definition: A framework consisting of standards and services to enable secure, encrypted communication and authentication over potentially insecure networks such as the Internet. Extended Definition: A framework and services for generating, producing, distributing, controlling, accounting for, and revoking (destroying) public key certificates. Definition: Type of malware which restricts access to the computer system that it infects, and demands a ransom paid to the creator(s) of the malware in order for the restriction to be removed. Definition: The activities after an incident or event to restore essential services and operations in the short and medium term and fully restore all capabilities in the longer term. Definition: A group authorized and organized to emulate a potential adversary?s attack or exploitation capabilities against an enterprise?s cybersecurity posture. Definition: An exercise, reflecting real-world conditions, that is conducted as a simulated attempt by an adversary to attack or exploit vulnerabilities in an enterprise’s information systems. Definition: Additional or alternative systems, sub-systems, assets, or processes that maintain a degree of overall functionality in case of loss or failure of another system, sub-system, asset, or process. Definition: An attack in which the adversary has to forward the request of the card reader, for example, to the victim and relay back its answer to the card reader in real time, in order to carry out a task pretending to be the owner of the victim’s smart card, for example. Definition: The ability to adapt to changing conditions and prepare for, withstand, and rapidly recover from disruption. Extended Definition: In cybersecurity, response encompasses both automated and manual activities. Definition: The potential for an unwanted or adverse outcome resulting from an incident, event, or occurrence, as determined by the likelihood that a particular threat will exploit a particular vulnerability, with the associated consequences. Definition: The systematic examination of the components and characteristics of risk. Definition: The product or process which collects information and assigns values to risks for the purpose of informing priorities, developing or comparing courses of action, and informing decision making. Extended Definition: The appraisal of the risks facing an entity, asset, system, or network, organizational operations, individuals, geographic area, other organizations, or society, and includes determining the extent to which adverse circumstances or events could result in harmful consequences. Definition: The process of identifying, analyzing, assessing, and communicating risk and accepting, avoiding, transferring or controlling it to an acceptable level considering associated costs and benefits of any actions taken. Extended Definition: Includes: 1) conducting a risk assessment; 2) implementing strategies to mitigate risks; 3) continuous monitoring of risk over time; and 4) documenting the overall risk management program. Definition: A structured approach to managing risks to data and information by which an organization selects and applies appropriate security controls in compliance with policy and commensurate with the sensitivity and value of the data. Definition: A set of software tools with administrator-level access privileges installed on an information system and designed to hide the presence of the tools, maintain the access privileges, and conceal the activities conducted by the tools. Definition: A cryptographic key that is used for both encryption and decryption, enabling the operation of a symmetric key cryptography scheme. Extended Definition: Also, a cryptographic algorithm that uses a single key (i.e., a secret key) for both encryption of plaintext and decryption of ciphertext. Definition: A NICE Workforce Framework category consisting of specialty areas concerned with conceptualizing, designing, and building secure IT systems, with responsibility for some aspect of the systems’ development. Definition: The use of information technology in place of manual processes for cyber incident response and management. Definition: A rule or set of rules that govern the acceptable use of an organization’s information and services to a level of acceptable risk and the means for protecting the organization’s information assets. Extended Definition: A rule or set of rules applied to an information system to provide security services. Definition: In the NICE Workforce Framework, cybersecurity work where a person: Manages information security (e.g., information security) implications within the organization, specific program, or other area of responsibility, to include strategic, personnel, infrastructure, policy enforcement, emergency planning, security awareness, and other resources (e.g., the role of a Chief Information Security Officer). Definition: A recognizable, distinguishing pattern. Extended Definition: Types of signatures: attack signature, digital signature, electronic signature. Definition: Comprehending information about the current and developing security posture and risks, based on information gathered, observation and analysis, and knowledge or experience. Extended Definition: In cybersecurity, comprehending the current status and security posture with respect to availability, confidentiality, and integrity of networks, systems, users, and data, as well as projecting future states of these. Definition: The level of confidence that software is free from vulnerabilities, either intentionally designed into the software or accidentally inserted at any time during its lifecycle, and that the software functions in the intended manner. Definition: In the NICE Workforce Framework, cybersecurity work where a person: Develops and writes/codes new (or modifies existing) computer applications, software, or specialized utility programs following software assurance best practices. Definition: The abuse of electronic messaging systems to indiscriminately send unsolicited bulk messages. Definition: An e-mail spoofing fraud attempt that targets a specific organization or individual, seeking unauthorized access to confidential data. Spear phishing attempts are not typically initiated by “random hackers” but are more likely to be conducted by perpetrators out for financial gain, trade secrets or military information. These attacks are more targeted than common phishing or spam attacks. Definition: Faking the sending address of a transmission to gain illegal [unauthorized] entry into a secure system. Extended Definition: The deliberate inducement of a user or resource to take incorrect action. Note: Impersonating, masquerading, piggybacking, and mimicking are forms of spoofing. Definition: Software that is secretly or surreptitiously installed into an information system without the knowledge of the system user or owner. Definition: In the NICE Workforce Framework, cybersecurity work where a person: Applies knowledge of priorities to define an entity. Definition: An individual, process, or device causing information to flow among objects or a change to the system state. Extended Definition: An active entity. Definition: A generic name for a computerized system that is capable of gathering and processing data and applying operational controls to geographically dispersed assets over long distances. Definition: A system of organizations, people, activities, information and resources, for creating and moving products including product components and/or services from suppliers through to their customers. Definition: The process of identifying, analyzing, and assessing supply chain risk and accepting, avoiding, transferring or controlling it to an acceptable level considering associated costs and benefits of any actions taken. Definition: A branch of cryptography in which a cryptographic system or algorithms use the same secret key (a shared secret key). Definition: A cryptographic key that is used to perform both the cryptographic operation and its inverse, for example to encrypt plaintext and decrypt ciphertext, or create a message authentication code and to verify the code. Definition: In the NICE Workforce Framework, cybersecurity work where a person: Installs, configures, troubleshoots, and maintains server configurations (hardware and software) to ensure their confidentiality, integrity, and availability; also manages accounts, firewalls, and patches; responsible for access control, passwords, and account creation and administration. Definition: The attribute of an information system when it performs its intended function in an unimpaired manner, free from deliberate or inadvertent unauthorized manipulation of the system. Definition: In the NICE Workforce Framework, cybersecurity work where a person: Works on the development phases of the systems development lifecycle. Definition: In the NICE Workforce Framework, cybersecurity work where a person: Consults with customers to gather and evaluate functional requirements and translates these requirements into technical solutions; provides guidance to customers about applicability of information systems to meet business needs. Definition: In the NICE Workforce Framework, cybersecurity work where a person: Conducts the integration/testing, operations, and maintenance of systems security. Definition: In the NICE Workforce Framework, cybersecurity work where a person: Develops system concepts and works on the capabilities phases of the systems development lifecycle; translates technology and environmental conditions (e.g., law and regulation) into system and security designs and processes. Definition: A discussion-based exercise where personnel meet in a classroom setting or breakout groups and are presented with a scenario to validate the content of plans, procedures, policies, cooperative agreements or other information for managing an incident. Definition: A cyberspace environment that provides a user with confidence in its security, using automated mechanisms to ascertain security conditions and adjust the level of security based on the user’s context and in the face of an evolving range of threats. Definition: In the NICE Workforce Framework, cybersecurity work where a person: Applies current knowledge of one or more regions, countries, non-state entities, and/or technologies. Definition: In the NICE Workforce Framework, cybersecurity work where a person: Conducts technology assessment and integration processes; provides and supports a prototype capability and/or evaluates its utility. Definition: In the NICE Workforce Framework, cybersecurity work where a person: Develops and conducts tests of systems to evaluate compliance with specifications and requirements by applying principles and methods for cost-effective planning, evaluating, verifying, and validating of technical, functional, and performance characteristics (including interoperability) of systems or elements of systems incorporating information technology. Definition: A circumstance or event that has or indicates the potential to exploit vulnerabilities and to adversely impact (create adverse consequences for) organizational operations, organizational assets (including information and information systems), individuals, other organizations, or society. Extended Definition: Includes an individual or group of individuals, entity such as an organization or a nation), action, or occurrence. Definition: The detailed evaluation of the characteristics of individual threats. Extended Definition: In the NICE Workforce Framework, cybersecurity work where a person: Identifies and assesses the capabilities and activities of cyber criminals or foreign intelligence entities; produces findings to help initialize or support law enforcement and counterintelligence investigations or activities. Definition: The product or process of identifying or evaluating entities, actions, or occurrences, whether natural or man-made, that have or indicate the potential to harm life, information, operations, and/or property. Definition: In access control, data that authenticates the identity of a client or a service and, together with a temporary encryption key (a session key), forms a credential. Definition: Free software designed to make it possible for users to surf the Internet anonymously, so their activities and location cannot be discovered by government agencies, corporations, or anyone else. Definition: A set of designations employing four colors (RED, AMBER, GREEN, and WHITE) used to ensure that sensitive information is shared with the correct audience. Definition: A computer program that appears to have a useful function, but also has a hidden and potentially malicious function that evades security mechanisms, sometimes by exploiting legitimate authorizations of a system entity that invokes the program. Definition: An extra layer of security that is known as “multi factor authentication” that requires not only a password and username but also something that only that user has on them or immediate accessabiltiy to. Definition: Any access that violates the stated security policy. Definition: (of information or data) not converted into a code that would prevent unauthorized access. Definition: A virtual private network is a technology that creates a safe and encrypted connection over a less secure network, such as the internet. Definition: A computer program that can replicate itself, infect a computer without permission or knowledge of the user, and then spread or propagate to another computer. Definition: A characteristic or specific weakness that renders an organization or asset (such as information or an information system) open to exploitation by a given threat or susceptible to a given hazard. Extended Definition: Characteristic of location or security posture or of design, security procedures, internal controls, or the implementation of any of these that permit a threat or hazard to occur. Vulnerability (expressing degree of vulnerability): qualitative or quantitative expression of the level of susceptibility to harm when a threat or hazard is realized. Definition: In the NICE Workforce Framework, cybersecurity work where a person: Conducts assessments of threats and vulnerabilities, determines deviations from acceptable configurations, enterprise or local policy, assesses the level of risk, and develops and/or recommends appropriate mitigation countermeasures in operational and non-operational situations. Definition: A shortcoming or imperfection in software code, design, architecture, or deployment that, under proper conditions, could become a vulnerability or contribute to the introduction of vulnerabilities. Definition: Whaling is a specific kind of malicious hacking within the more general category of phishing, which involves hunting for data that can be used by the hacker. Whaling targets are generally high-ranking bankers, executives or others in powerful positions or job titles while phishing efforts are focused on collecting personal data about users. Definition: A method of penetration testing in which the hacker is given access to information about the internal details of the target network in order to provide a comprehensive test of the network’s security strengths and weaknesses. Definition: A Hacker who uses their abilities to identify security weaknesses in systems in a way that will allow the system’s owners to fix the weakness. Definition: A group responsible for refereeing an engagement between a Red Team of mock attackers and a Blue Team of actual defenders of information systems. Definition: A list of entities that are considered trustworthy and are granted access or privileges. Definition: An estimate of the effort or time needed by a potential adversary, with specified expertise and resources, to overcome a protective measure. Definition: A self-replicating, self-propagating, self-contained program that uses networking mechanisms to spread itself. Definition: A cyber attack that occurs on the same day a weakness is discovered in software. At that point, it’s exploited before a fix becomes available from its creator.